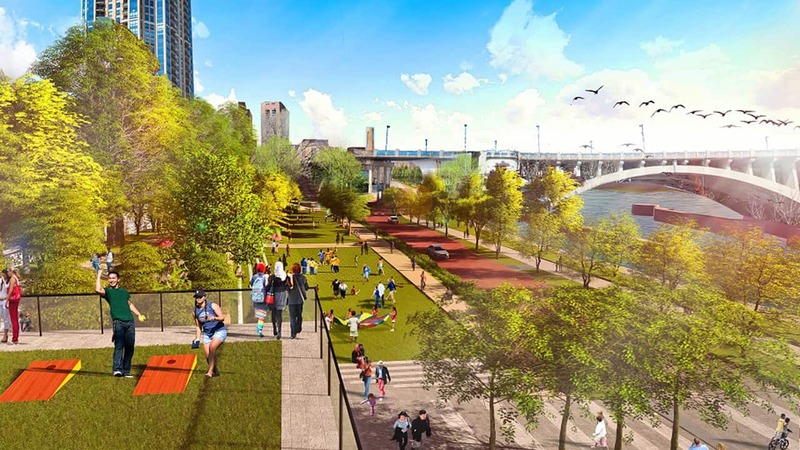 The Minneapolis Park & Recreation Board is developing a pivotal riverfront park in the St. Anthony Falls Historic District, the birthplace of the city. The mill remnants are part of a complex historic landscape that is being incorporated into an exciting and unique design featuring new buildings and vibrant open space. The mill ruins and partial deconstruction of the iconic Fuji Ya building require balance between new development and historic preservation opportunities. The 106 Group is providing full cultural resources services for the project. We are applying our thorough knowledge of archaeology and historic preservation laws and best practices to perform surveys, navigate the city and state reviews, and provide engagement with culturally-connected communities that is informing interpretive stories and site design. Our research expands current understanding of the milling site, revealing new information about the place’s significance across many cultures, both centuries ago and today. This extensive effort floats over the ongoing investigation, design, preservation, and reuse of the ruins. Together, these parts ensure that Water Works will be a viable gathering place in the heart of Minneapolis’ historic area for generations to come.